Chris Jackson/Getty ImagesTrump says he’ll meet with Tehran, but that would embarrass them for years to come. President Donald Trump has set out on a puzzling and ambitious policy towards Iran that looks increasingly focused on a summit that would deeply humiliate the Islamic Republic’s leadership. Iran’s political class places huge emphasis on opposing the US and its influence in the Middle East. But Trump’s withdrawal from the Iran deal has tanked its economy badly. Trump has proven very generous to US adversaries if they meet in the context of summits, but Iran would have to swallow its pride and some humble pie too if it were to kiss the ring. Trump’s new Iran policy calls for an economic crackdown following the withdrawal from the Iran deal, a buildup of anti-Iran military alliances with the US’s regional partners, and a media campaign to heat up already simmering civil unrest in the country. But, while the circumspect approach mirrors Trump’s “maximum pressure” campaign that helped force North Korea and China to change their tunes, this time he’s opened with an offer for a summit. Later, Trump’s Secretary of State, Mike Pompeo, laid out some preconditions, but the offer remained extended. Iran, theoretically, has a lot to gain from improved relations with the US. Since the US withdrawal from the Iran deal, Iran’s currency has taken a nosedive, soaring up to around 120,000 rials to a dollar. In August and November Iran faces two new waves of sanctions that will shut off their access to US banking and oil exports. Though the US sanctions post-deal will be unilateral and not as strong as the pre-deal UN-imposed sanctions, fear angering the US, the world’s largest economy, will likely scare off Europeans who are otherwise committed to the deal. In short, Trump withdrew from the Iran deal, likely imposed tremendous cost and stress on Tehran’s economy, and Iran has responded by staying in the deal and trying to portray itself as a good actor worthy of the world’s support against US hegemony. For the moment, Trump is having his cake and eating it too. Iran’s parliament, for the first time ever, has called up Iranian President Hassan Rouhani to grill him on the foreboding economic downturn. Iran watchers consider Rouhani a moderate who spent considerable political capital in negotiating with the US and the West to cast the Iran deal. But now, Iran finds itself having signed away its nuclear ambitions for almost none of the economic rewards promised by the west. Other figures in Iran’s government dismissed the idea as non starter, saying the nuclear deal represented the talks they supported, and having that ripped up made future conversations untenable. Instead, Iran hopes to improve relations with Europe, who it hopes will brave US sanctions to continue to buy its oil. But as many of Europe’s businesses are exposed to the US’s massive financial reach, it’s hard to imagine Iran doesn’t take a haircut on its potential future earnings. Meanwhile, Trump has, in short order, laid down a remarkable track record with summits, especially with US adversaries. “I’ll meet with anybody. I believe in meetings,” Trump said on Monday. Trump became the first US leader to meet with North Korea’s Kim Jong Un, the world’s worst human rights violator. Kim agreed to only vague, symbolic or non-binding moves to help the US while Trump heaped praise on the leader and defended his brutal regime. 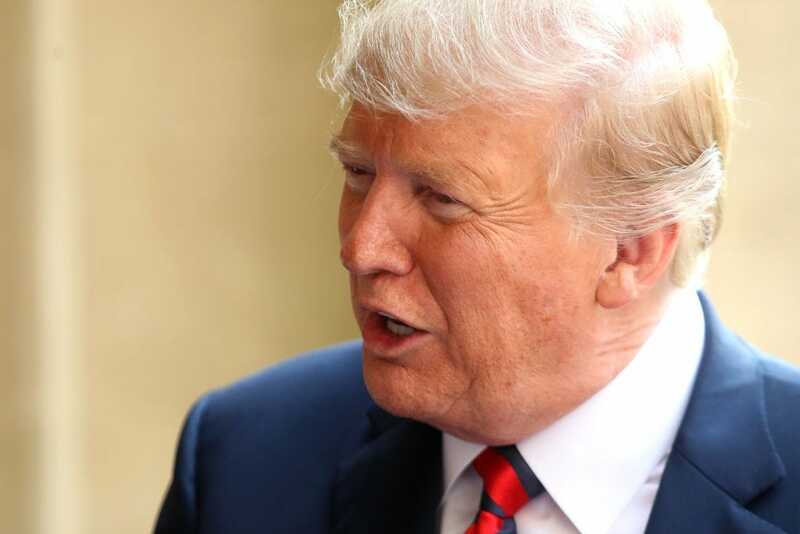 Trump also praised Russian President Vladimir Putin and appeared to take his word for it that Moscow did not meddle in the US’s 2016 election, earning himself a stinging rebuke from his own party and top intelligence experts. Neither one of these summits produced anything of real substance for the US public. So far, the US has reaped the reward of some repatriated war dead from the Korean War and a soccer ball from Putin. Iran, similarly, could hold a summit with Trump, but its political culture forbids such a thing. Since the 1979 Islamic Revolution, Iran has cast itself as standing up to the US with fierce opposition. Its senior government figures chant “death to America.” Iran’s navy holds the dubious operational goal of destroying the US Navy. Domestically, Rouhani already stuck his neck out for the US with the Iran deal. For Iranian leaders to smile and shake Trump’s hand would symbolise a deep capitulation and recognition that the US holds tremendous power over Tehran, and that their values of opposing US hegemony stand subordinate to their will to survive economically, for which they will need a benevolent Trump.